Since the tragic suicide of Dr. Sophia Yin, compassion fatigue has been increasingly identified as a threat to the well-being, health, and even lives of people who work with animals. Veterinarians and animal shelter workers alike struggle with increased risk of emotional numbness, strained interpersonal relationships, anxiety, sleep disorders, and health problems. 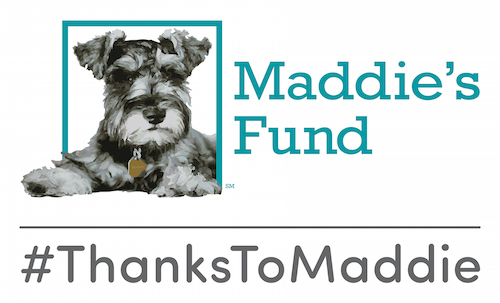 That’s why the Maddie’s® Shelter Medicine Program at the University of Florida is once again offering its Compassion Fatigue Strategies online course. Registration is open now, with the course beginning March 13. My whole career has been working with animals in different capacities. I’ve been both a staff member and volunteer for shelters and animal welfare organizations. And I had my own pretty profound experience of compassion fatigue at a time when I didn’t know what it was. Everyone who works with animals feels this, even if they’re coming from different fields. The needs are great, the resources small. How do we let ourselves feel we’re enough? Because if we don’t let go to a certain extent, we’ll eventually not be able to keep doing the work at all. When we’re stressed, fatigued, lacking empathy, and burned out, it compromises our ability to do good work. The healthier we are, the more able we are to do to ethical, good work for the long haul. I am selfishly teaching this because I want all these talented, compassionate people to be around to do this work! The course runs from March 13-May 7, 2017. It is open to anyone who works with animals, and is eligible for 15 CE credits. The fee is $200. Interested students can learn more and register at Online Compassion Fatigue Strategies.